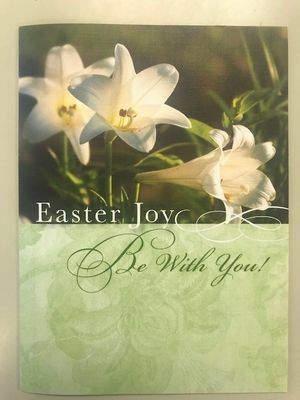 Share the joy of Easter with a Carmelite Easter card! When you send this card, the recipient (s) will be remembered for one year in the daily Masses, prayers, and good works of the Carmelite Community at the National Shrine of Our Lady of Mount Carmel in Middletown, NY. Sign up for our mailing list to stay on top of events, new items, and more!